Welcome to Bender Electrical Contracting! was established in 2000 in St. Henry, Ohio. 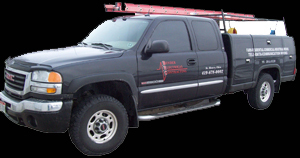 We are a full service electrical contractor providing construction and installation services to the commercial, industrial, residential and farm markets. We have an outstanding reputation for our quality, strengths and capabilities in the electrical field. Our highly trained staff of electrical installation experts will work closely with our customers to establish ideal solutions for their specific needs and are available 24-hours a day, 7 days a week. You can count on us to be there when you need us with the tools, knowledge and installation capabilities to meet your needs.